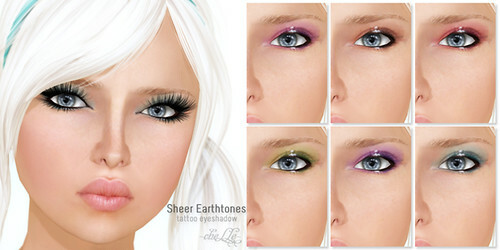 ✿ cheLLe ✿ Sheer Earthtones eyeshadows is available now at the Kozmetika Sumer Event. This event officially opens tomorrow, June 18th,but you can come by and check it out early (though I’m not sure if other participants have set up yet). 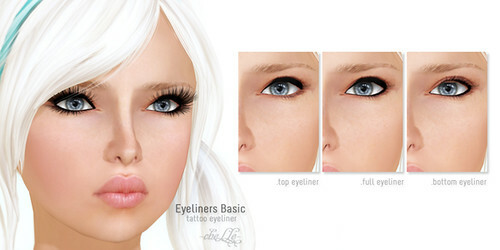 Pick up new releases and freebies from stores such as but not limited to: [ a.e. meth ], Grixdale, MOCK, Virtual/Insanity, *BOOM*, Pididdle, La Malvada Mujer, (Ag) Cosmetics, CHEAP MAKEUP, *RezIpsa Loc*, cheLLe, Glamorize, [ bubble ], HUIT, ))P.Art(( and MORE!